Ayurvedic Medicine represents the healing branch of yogic science, while Vedic astrology provides its understanding of time and karma. Ayurvedic astrology teaches the interface of these two extraordinary systems in the Vedic astrology of healing. Ayurvedic Astrology has become one of the most dynamic new branches of Vedic astrology in the West. The book explains how the different mind-body and planetary types of the two systems interrelate. It examines disease factors from an astrological perspective and goes into depth into astrological remedial measures, particularly gem therapy. It also contains many notable example charts. It is considered to be an important, if not revolutionary, new study of both profound Vedic disciplines. The book represents twenty years of study by David Frawley in both fields. There is no comparable text like it available today. 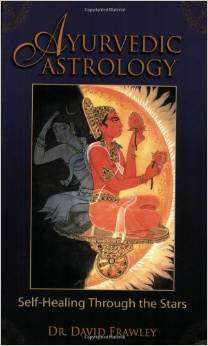 Required reference book for our Vedic Astrology and Ayurveda course.